The universe has a voice, an audible expression of its existence. It is a voice made up of all its parts creating a resonant sound that vibrates in harmony with All That Is. For the scientist, when this audible vibration is detected they might defer it to the sound energy makes when being transmitted, much like an electrical hum one hears as current passes through the transformer. The voice of the universe is a song that all sing, known or unknown to themselves. It is detectable yet takes some effort to perceive. Just as there are light frequencies, such as infrared and ultraviolet, that is beyond the optical capabilities of humanity, the same is true for the resonant vibrations of the universe. To hear the song of All That Is, one must hear not with the ears but with the mind and the soul. The great Ohm is the voice of All That Is that has never changed, always expresses and is a powerful reminder to all that perceive it of the truth of their origins. Everyday, without fail, not only does all of creation and even the individual as an expression of physicality resonates the Ohm but also is inundated by it. It is the sea of song in which existence floats. It is the vibratory resonance of the voice of God. It is the single one expression of All That Is that can be comprehended by the mind of humanity. Obviously, it has value. But what is that value? To immerse oneself in listening to or singing the Ohm cleanses the auric field, soothes the soul, balances the body and frees the mind. It is a healing balm of sound and, by its very nature, energy that reminds and redirects one to the source of their being. It is a healing place to be. It is a cleansing place to be. 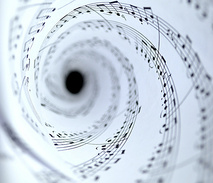 On subconscious and unconscious levels, you are eternally being enveloped in this resonant sound. But just as you are often spirit unaware, there is tremendous value in encountering and, therefore, experiencing ethereal realities. How does one comprehend and, therefore, experience audibly the voice of the universe? Our suggestion is to consciously and physically sing the Ohm. The Ohm, an audible form heard by the physical ear and comprehended by the physical mind, opens up the pathway to experiencing the song, the Ohm, the voice of God. We assure you if you would but reverently, patiently practice the Ohm, you will open your spiritual ears and your audible senses to the actual song of the universe. As we have stated, its value is immeasurable, and its benefits are beyond numbering. For to hear the voice of the universe is to experience the voice of God. And to experience God is to hear the voice of All That Is. The singing of the Ohm always brings one into greater harmony and balance, and alignment with their soul’s source and the path of their destiny. The evidence of the Ohm is to God like a fragrance is to a flower. You cannot have one without the other. The Ohm sung or listened to is not only an acknowledgment and a reminder of the oneness of All That Is, it is an invitation to re-invite the conscious awareness of the presence of divinity into your life. The Ohm is the I AM singing to itself. It is one and the same. Go into that sacred place that you have chosen for yourself and contemplate and experience through singing or listening the song of the Ohm. It will change your very existence. It will reinvigorate your physical form and it will transform your spiritual being. As light nurtures the living, the song the universe sings nurtures the soul. The Ohm is the greatest of all hymns and the perfect prayer for it promises that that which you desire already exists. The Ohm is the lullaby of the soul to itself to awaken from its sleeping state into the full expression of your multidimensional beings. Fully expressive, divinity expresses in sound and light and it transforms all that it encounters. Listen well. Listen carefully. And experience the universe singing to you.